Grade : good Fine, but with a struck through HOLE at 2 o'clock relative to the obverse (7 o'clock relative to the reverse). 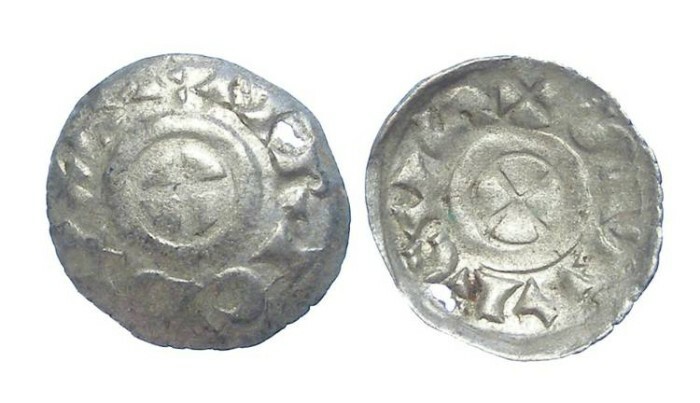 Note that these coins are struck concave (scyphate) intentionally. Obverse : Short cross in a circle with ENRIC DVX around. The obverse is on the convex side of the coin.